Materials and technique: oil on canvas. This painting depicts a couple. 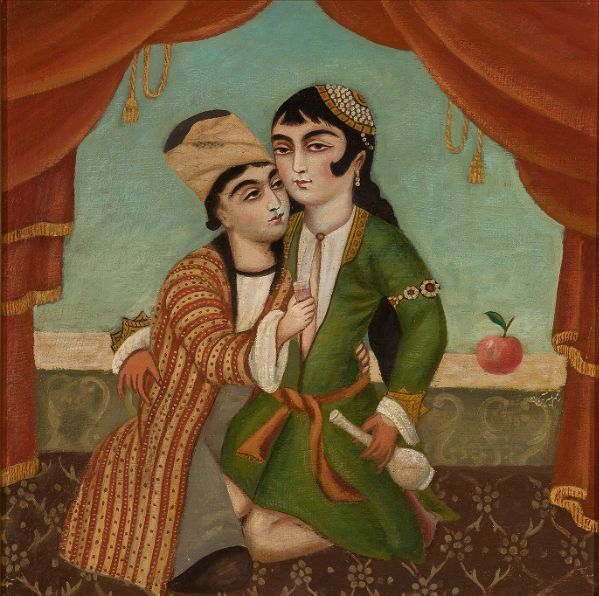 The digital archive (Women’s Worlds in Qajar Iran) at Harvard University does not provide any in depth information about this painting. The man's turban is similar to that of Zand period. My assumption is that this work was created in early Pahlavi era. One interesting observation about the female figure is that she doesn't have a unibrow like traditional Qajar paintings!